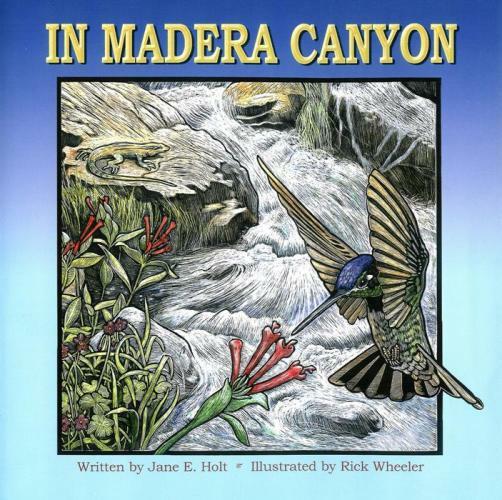 Invite children to visit Arizona’s lovely Madera Canyon without leaving home. 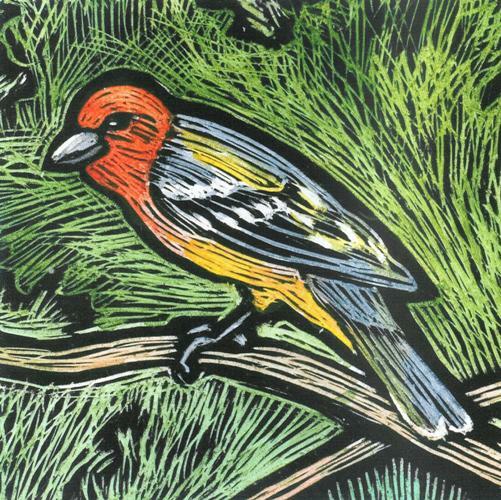 In the tradition of Bringing Rain To Kapiti Plain and “The House That Jack Built,” In Madera Canyon unfolds with progressive verse in which birds, flowers and animals are revealed one by one. 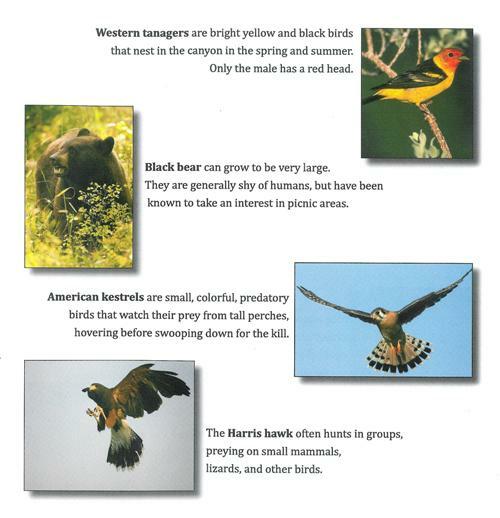 Both parents and teachers are encouraged to purchase this entertaining and educational book. 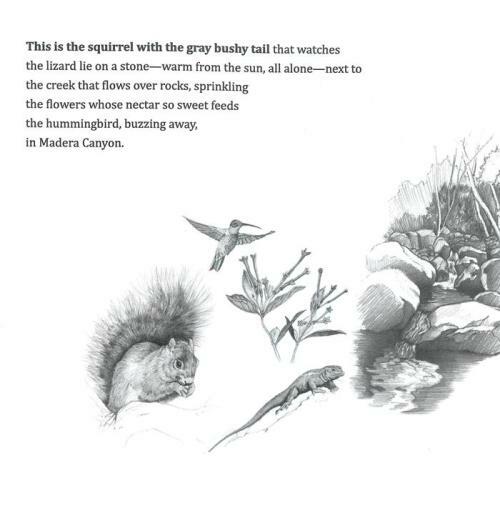 Jane Freese, a former journalist, photographer, librarian and award-winning writer, shares the wonders of the hummingbird, the trumpet plant, Madera Canyon Creek, the side-blotched lizard, the Arizona gray squirrel, the mountain lion, the white-tailed deer, the white-nosed coati, the elegant trogon, the western tanager, the black bear, the American kestrel and the Harris hawk. 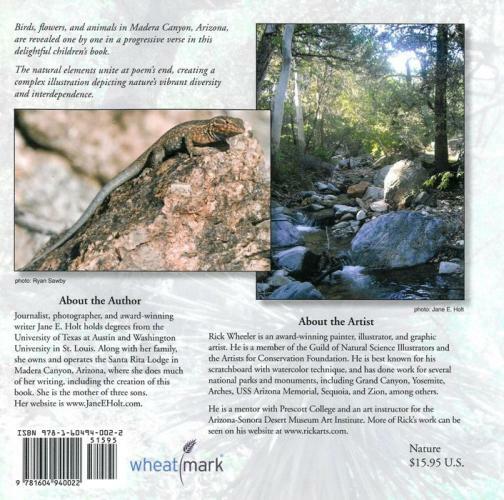 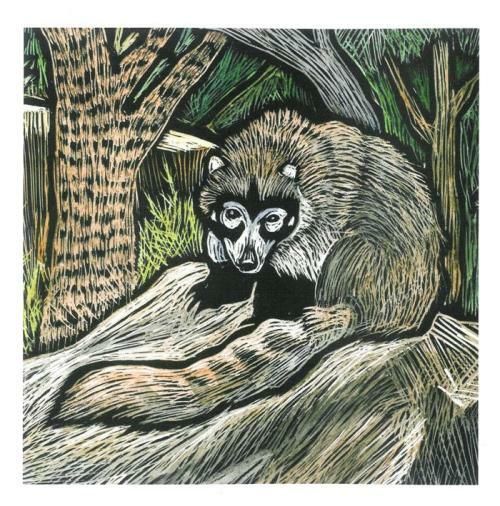 Rick Wheeler, award-winning painter, illustrator, college mentor, art instructor and graphic artist, produced the book’s wonderful scratchboard paintings.